FRESNO, Calif. (CN) – In California’s Central Valley, dusty dry riverbeds fill with water that for decades has been diverted for farmers and cities. 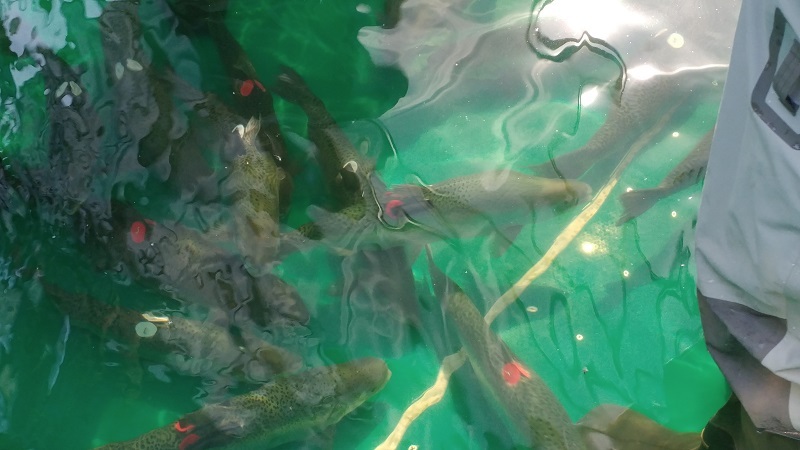 Hatchery-reared salmon – bred with taxpayer funds – are being reintroduced in hopes of rebooting ancient populations that disappeared in the 1940s, casualties of California’s ceaseless search for new water sources. The San Joaquin River, the state’s second largest, is primed for its comeback. After the Sacramento River, the San Joaquin is California’s most important river. It provides some of the state’s largest agricultural operations with water as it stretches north from Fresno before finally emptying into the Sacramento-San Joaquin River Delta – the source of drinking water for an estimated 25 million Californians. The process of damming, diverting and plumbing the 366-mile river for irrigation and urban water use leaves main portions of the river dry during parts of the year. 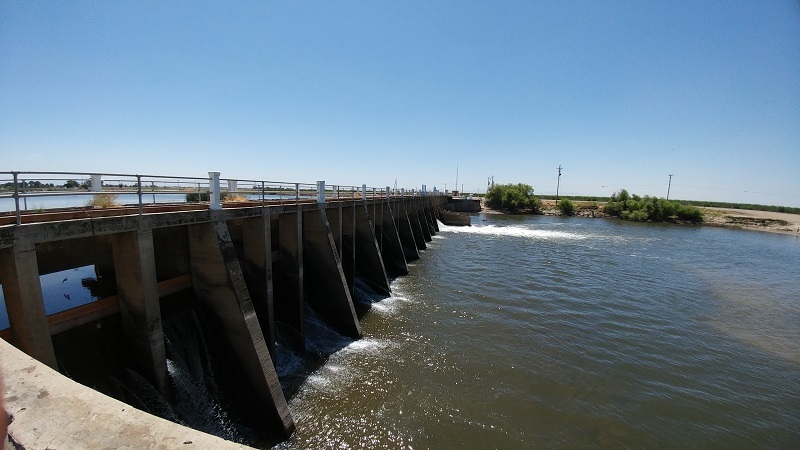 Following the opening of Friant Dam in 1942, entrepreneurs gobbled up the river’s fertile wetlands and replaced them with crops and gravel mining operations. 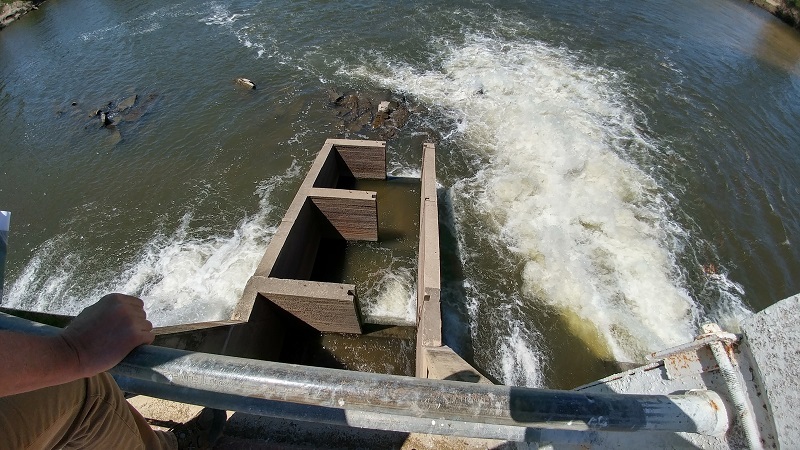 The dam was a boon to the already prospering agricultural region. But as water-intensive crops like almonds and pistachios went in, the native Chinook salmon disappeared. Thanks to an 18-year federal lawsuit brought by the Natural Resources Defense Council, the state and federal government plan to spend over a billion dollars to restore flows, wetlands and fish to the San Joaquin River system. A settlement reached in 2006 set goals of restoring native fish populations to “good condition” without overtly damaging water suppliers’ take of the river. According to the latest estimates, the project will cost more than $1.5 billion and won’t be completed until after 2030. Biologists and experts affiliated with the restoration program say the process of reviving an extinguished species on such a large river is likely unprecedented. “Taking a river system so heavily altered and trying to renovate it is truly unique,” said Paul Adelizi, environmental scientist with the California Department of Fish and Game. 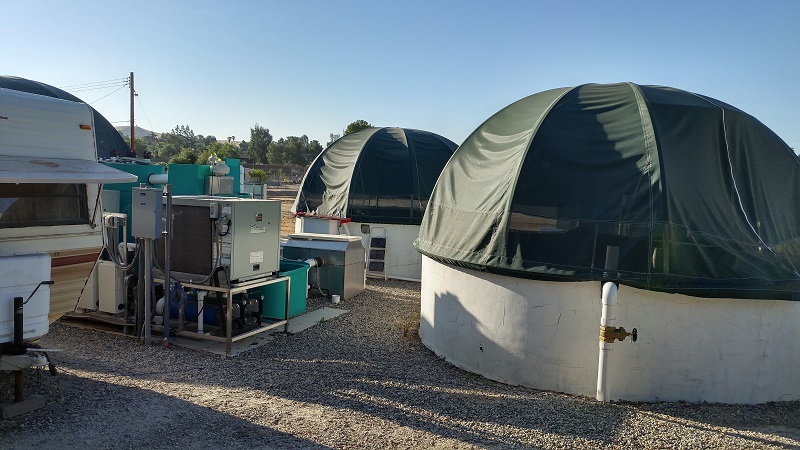 Adelizi and a team of researchers oversee a small fish hatchery just below the Friant Dam outside of Fresno, where spring-run Chinook salmon and trout are reared for release into the San Joaquin. Some of the fish and game employees live on-site in trailers or in temporary housing, on standby in case issues arise in one of the many circular salmon holding pens. With river flows and temperatures cooperating on a warm May morning, the hatchery team executed its most important salmon release yet. They carefully herded dozens of adult spring-run Chinook salmon from holding pens into delivery tanks, finally releasing the fish downstream after years of captivity. The fish are the first adult salmon born and raised on the river to have the chance to spawn naturally in nearly a century, researchers estimate. The salmon will roam the stretch of river below the hatchery throughout the summer until they are ready to spawn and lay eggs. The hatchery fish will have to survive fluctuating river flows and temperatures, as well as steer clear of predators and poachers. If all goes to plan, the adult spring-run Chinook and their juveniles could potentially jumpstart an ancient salmon run. If the project is ultimately successful, Chinook salmon will return from the Pacific Ocean each year and spawn in the river system. Biologists will monitor the pioneer fish throughout the summer through a variety of tracking devices and acoustic receivers. They want to find out where the adult salmon will hold before spawning and where the resulting redds – egg nests – will be located. The release comes as researchers warn California’s salmon species could be on the brink of extinction. According to an alarming report released in May, 75 percent of California’s native trout and salmon species could vanish within the next 100 years. The fish are struggling with warm water exacerbated by the state’s historic drought, as well as human impacts. The salmon releases are just one piece of the river’s revitalization, jumpstarted by the Natural Resources Defense Council’s federal lawsuit in 1988 on behalf of a coalition of fishermen and environmentalists. 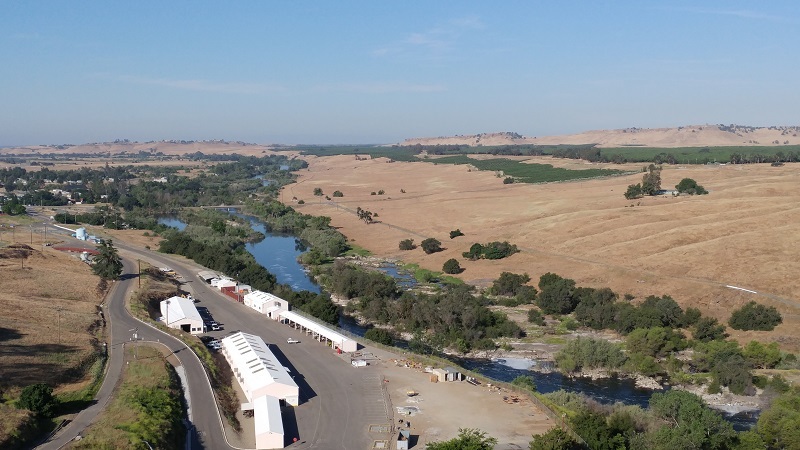 The Bureau of Reclamation argued it wasn’t responsible for sustaining the river’s ecosystem, and continued diverting nearly all the releases from Friant Dam to water suppliers. 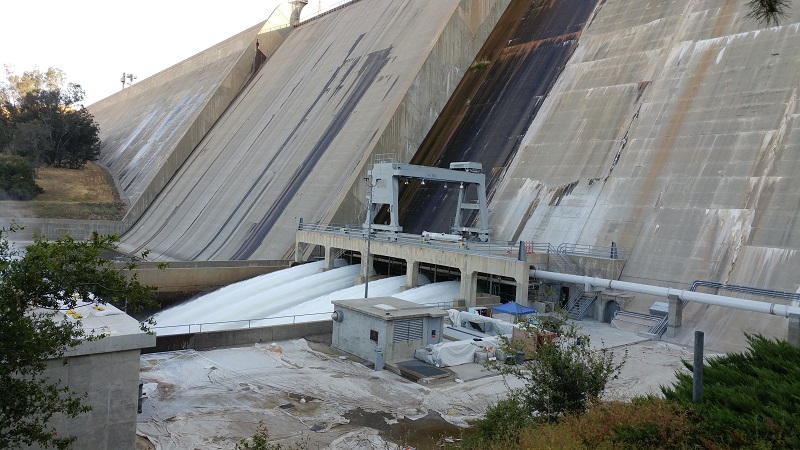 After a federal judge ruled the Bureau of Reclamation’s operation of the dam violated California’s endangered species law, the environmental group and the federal government – along with several Central Valley water suppliers – settled in 2006. Under the settlement, federal agencies must manage and permit the program while the state facilitates the fish hatchery and releases. New levees, agricultural intakes and channels will be built, wetlands will be flooded and the government must keep water running through the river all year. While the program is making progress toward restoring healthy salmon populations on the San Joaquin River, it still faces financial and legal hurdles. As of July 2015, program managers anticipated a $390 million shortfall in federal and state funding. Combined with growing uncertainty surrounding President Donald Trump’s proposed budget, there is the possibility the project could be halted in its infancy. Local water suppliers aren’t fond of the project either, and have sued the state asking a judge to freeze a critical portion of the restoration project. 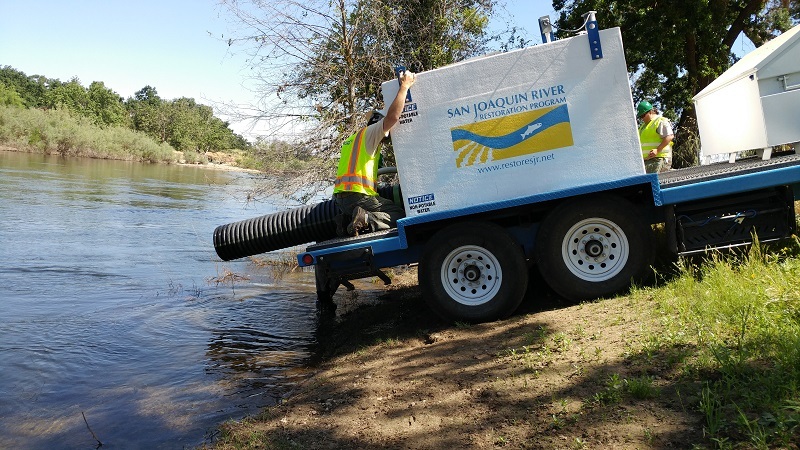 According to a complaint filed on May 16 in Sacramento Superior Court by the San Joaquin River Exchange Contractors Water Authority, the state made last-minute changes to the project after the environmental review was released. They claim the state’s plan to divert water around an existing irrigation lake into a new river channel will fill the farmers’ pool with sediment and increase flood risks. The lawsuit could again delay the already heavily litigated and researched river restoration project. The water authority’s focus is on stopping the Mendota Pool Bypass, a $400 million project which will allow returning Chinook salmon to pass upstream of an old agricultural dam. Project managers anticipate awarding out the contract for the bypass this summer, and the project could take 10 years to complete. 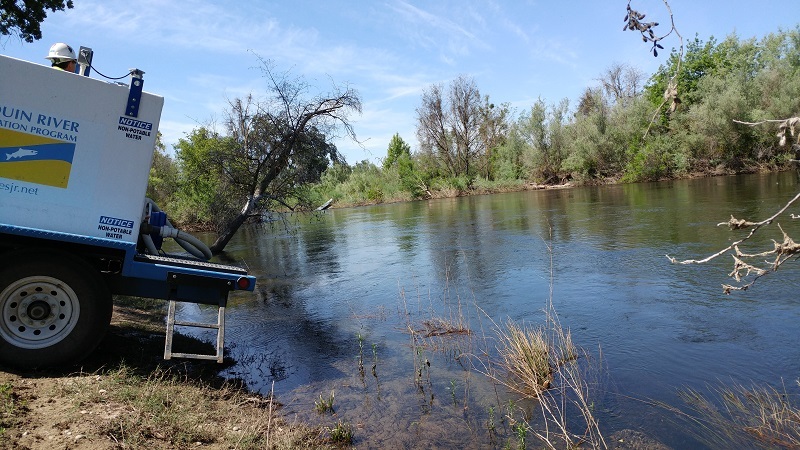 “The project constitutes a substantial reconfiguration and blocking of the San Joaquin River and will have significant impacts on the San Joaquin River flows, flood risks, adjacent lands, significant impacts on fish and wildlife resources and on other parties of resources,” the complaint states. San Joaquin River Exchange Contractors Water Authority is made up of a collection of water districts in the Fresno area. They want a judge to vacate the state’s approval of the project’s environmental impact report and thereby halt construction. The authority and its attorney Paul Minasian of Sexton & Cooper did not respond to interview requests. Yet whether the project is halted by a judge or a lack of federal funding, project managers reiterated the significance of bringing salmon back to the mighty San Joaquin River at a time when the state’s salmonids are struggling. The salmon release represents a major step in improving the river’s ecosystem that has been decimated due to a lack of water. “The reality is after years of planning the project is finally underway thanks to the efforts of some dedicated environmentalists and experts,” said Joshua Newcom, public affairs specialist for the Bureau of Reclamation.